Stop everything you're doing right now. It's Friday, it's Field of view and you know you need that VR and AR news fix before you continue doing whatever else you were doing before we told you this. Before we get into the news, let's talk about all things VR and AR that have been going on on the site this week. Team US has been hanging out at the Augmented World Expo, seeing all the latest innovations in the world of AR trying out Kopin's smartphone powered smartglasses and an oxygen mask to help save pilot's lives. We also picked out our current Samsung Gear VR app and game faves. And we're not done. We've selected the best of the rest of the news, as well as a VR game you need to try and a vid you should check out too. The big tournament is just a couple of weeks away and if you're not planning to be out in Russia and want to get a little closer to the action, the Beeb wants to help make that happen. As well as confirming the World Cup will get the Ultra HD treatment, all of the 33 matches shown on the channel will be available to watch for free in VR on BBC's VR 2018 World Cup app. 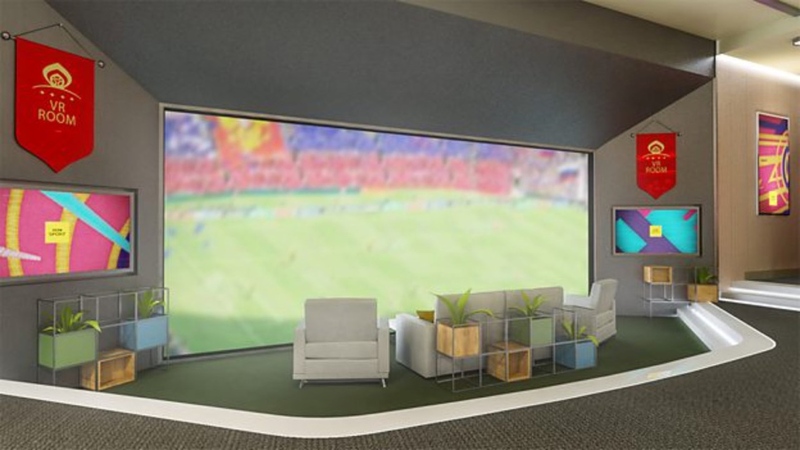 Set to be compatible with Apple, Android, Gear VR, Oculus Go and PlayStation VR devices, fans will be able to sit in their own virtual private box and watch the action. You can sit behind either one of the goals and get live match stats that pop up from a virtual coffee table. There'll also be a daily highlights package to view when you're waiting for the next live game to kick off. Xiaomi unveiled a whole lot of new tech at its Shenzen event this week. There were new phones, the Mi Band 3 and a shiny new standalone VR headset too. The Mi VR Standalone looks familiar and that's because it is basically the Oculus Go, which Facebook worked with Xiaomi to build. It's powered by a Snapdragon 821 processor and has a 2K screen with integrated speakers a controller. Of course, there's absolutely no need to connect it to a computer or a smartphone to power it, either. Sticking with all things Oculus Go, you can now watch live sporting events, concerts, and comedy shows through Oculus VR's new Venues platform. Set to be available for Go and Gear VR owners, a host of live events that will be streamed live in VR has been announced kicking off with a Vance Joy concert and also includes a Gotham Comedy Live show, which will be streamed live from New York City over the coming months. To help make it feel like you're watching with a crowd, Venues will also populate the virtual viewing spot with virtual avatars if you don't like the idea of an intimate show just for you. Although, maybe that's your thing. There's no getting away from the fact that while VR headsets are getting more sophisticated, there's still a fair few people who feel queasy spending some time in the immersive realms. LG has partnered with Songang University to develop optimized algorithms that eliminate latency and motion-blur associated with VR motion sickness. We are going to round things off with some AR news and Snapchat's plans to launch a developer program that will allow third party apps to embrace its augmented reality camera features. The platform is expected to be called SnapKit and would signal and end to the company's very closed approach to let others tap into their user base. One for Vive, Rift and Windows Mixed Reality headset owners, Sea of Memories is a VR puzzler based on solving optical illusions, so it's all about taking full advantage of viewing things from all angles. There's 100 puzzles to solve in visually beautiful surroundings and it makes a change from the VR games that are all about shooting things. This slice of laid back gaming is available on Steam, priced at $9.99. We don't have your usual 360-degree video for your this week, but we do have a video that VR gamers will certainly be interested in. E3 is looming and Insomniac Games (Ratchet and Clank, Spyro, Sunset Overdrive) is teasing the unveiling of a new, open-world VR game. The game developer talks of a new way to freely roam worlds in VR that works a bit differently to the teleportation features we've seen used in a lot of games. We'll find out more on 7 June, but for now you can check out the video to hear what the team could have in store.